What's So Important about ATL Construction Site Safety? Recently on Bishop Street in northwest Atlanta, a woman was injured after part of a building facade collapsed on her during construction. She stepped out of the building’s office when the awning structure fell on her, according to WSB-TV News. The accident underscores how important it is to the public for there to be safety measures in place during construction. The woman was pinned down by the debris on Sept. 27. Luckily, there were two witnesses who were able to rescue her. She was then taken to Grady Memorial Hospital for her injuries. People should make sure businesses that are undergoing construction are enacting certain safety measures. Here are five to watch out for. 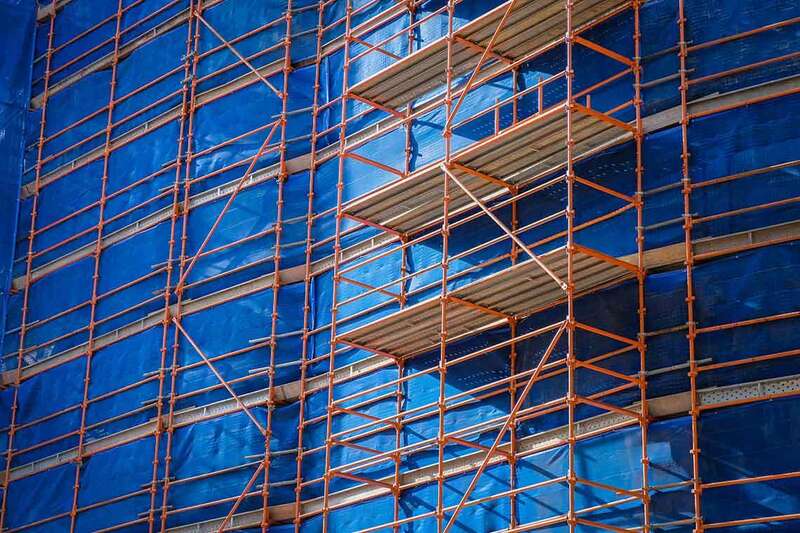 Barriers, catch platforms, enclosures, sidewalk sheds, and perimeter nets must be in effect to prevent construction objects and debris from causing an injury to the public, according to the American Society of Safety Engineers. Any loose material, debris and tools must be secured ,so that they do not fall or enter a public area. Chutes are also used when debris needs to be moved from higher stories to ground level, according to the Occupational Safety and Health Administration. The public could make sure that businesses they are entering have safety nets and enclosures around construction areas to prevent debris from injuring people. Businesses could set up boundaries by using perimeter fences to deter people from not entering the construction area. Fences help to stop curious people from wanting to enter the area, especially after work hours. If fences cannot be utilized in a public area, caution tape can be used to provide a barrier between the pubic and the construction area by alerting passersby of potential hazards, according to the OSHA. The public could confirm that fences or other safety enclosures are in place when near a business’s construction site to prevent accidentally stumbling into it. Sidewalks or areas that are pedestrian throughways near a construction site should be clearly marked with warning signs at all times, according to the ASSE. Non-level surfaces should have high visibility markings or signs to prevent the public from sustaining an injury as construction takes place. The public should also be notified of areas that are closed off to pedestrians and an alternative safe route should be provided, according to the ASSE. Clients at businesses undergoing construction should also be aware of evacuation procedures that may take place during a construction project to safely exit the building, the ASSE says. Slips, trips, and falls constitute the majority of general industry accidents, according to OSHA. They cause 15 percent of all accidental deaths, and are second only to motor vehicle fatalities. Stairways should be clear of any material or obstruction when in use to the public. Slippery conditions on stairways or wet walking surfaces should be cleaned up before in use by the public according to OSHA. Also all walking surfaces should be free of construction material that may pose a hazard to the public such as nails, debris, wires, and tools. In construction areas where mobile machinery is in use, it should be barricaded or shielded from the public to prevent accidents from occurring. Cones, fences and caution tape can serve as barriers to alert the public to not enter the area, according to OSHA. Construction workers should also be placed at a sufficient distance away to direct the public away from the area, therefore preventing accidents, according to the ASSE. The public could confirm that businesses with ongoing construction work have cordoned off areas where mobile machinery is in use especially those that are lifting out debris. Businesses that are undergoing construction can present a hazard to the public, but by being aware of what needs to be in place, the public could remain safe. However, accidents do happen even when every safety precaution is used. Read more] about your options if you sustain injuries from negligence while on private property. If you are ready to pursue a claim, please fill out our free, no-risk case evaluation form today.